More and more local businesses and nonprofits are reaching out to help furloughed federal workers in and around Asheville as the partial government shutdown surpasses the one-month mark. MANNA Food Bank is opening its doors to federal workers to offer them supplies. A spokeswoman for the Asheville Regional Airport, which has about 100 federal workers employed by TSA and the FAA, says a mobile MANNA Food Bank vehicle will be on site this week to offer help. Farm Burger is participating in what they’re calling #FurloughFridays and offering a free meal to workers on Fridays until the government shutdown ends. New Belgium is offering a free Fat Tire beer to furloughed federal workers at their Asheville brewery. And there’s more. Asheville.com has a good list here of organizations offering assistance. Goat yoga has returned to Franny’s Farm in Leicester. Here’s their goat yoga schedule. The biggest local news of last week was North Carolina Attorney General Josh Stein’s announcement that he would not challenge the sale of Mission Health to HCA Healthcare. The $1.5 billion deal could be finalized soon. In making his announcement, Stein noted that he negotiated key changes to the sale agreement. HCA will now be required to provide certain services at Mission’s rural hospitals for 10 years, and they must have an outside independent monitor to make sure HCA lives up to terms of the deal. In addition, Stein said the agreement also includes rules for the composition of the board of the Dogwood Trust, the foundation that will spend proceeds from the sale. There are new rules aimed at making the foundation’s operations more transparent, as well. Hospitals on Jan. 1 started complying with the Trump administration’s requirement to post prices as part of a pricing transparency effort. But as the New York Times explains, the “chargemaster” lists aren’t very helpful. Go here to see the list of all the prices for services at Mission Health. The Buncombe County Board of Commissioners has called a special closed session meeting for today (Tuesday) after holding another closed session meeting on Sunday. The stated reason for the meeting is to consider qualifications for employment of a prospective public official. The board, which has another special called meeting next week, has been searching for a new county manager since federal investigators charged the county’s last two managers with financial mismanagement. A federal judge recently accepted the plea agreement from Wanda Greene, the former long-time manager facing charges of fraud that could land her in federal prison for years. Have you checked out @swipemic? It’s Asheville’s open mic storytelling and therapy for unbelievable date night stories. Also, follow @datenightride and/or @rareexoticvehicles for how you can rent a vintage vehicle, like a cherry red 1959 Oldsmobile, for a special date. The Asheville Fringe Festival is awesome, and it starts tomorrow. A media company called Digital First has made an unsolicited offer to buy Gannett, the company that owns the Asheville Citizen-Times, setting off more speculation about the future of local news. Digital First is led by a hedge fund known for cost-cutting measures even more aggressive than Gannett’s over the past several years. At the end of 2018, Gannett offered buyouts to employees ages 55 and over with 15 years of experience. That, combined with a change in executive leadership, has sparked rumors of more layoffs to come at Gannett-owned properties like the Citizen-Times. Also last year, the Citizen-Times sold its downtown building as Gannett continued its cost-cutting. Really? It’s West Asheville. I can see a reason to nickname the section of Leicester Hwy that’s being built up near the city limit (Noble Cider, etc.) but I’m guessing this is the old Moose Lodge. This is “Beer Slope” all over again. Announced today – the AC-T is laying off another 5 employees, including Mark Barrett, their most experienced reporter. Soon it will just be John Boyle’s wry musings and the cub reporter who covers high school sports. 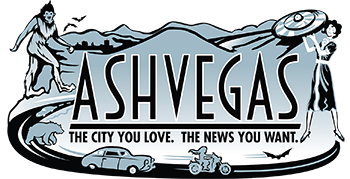 How is it that a thriving town like Asheville has such meager news outlets? The hedge fund that is mounting the hostile takeover of Gannett was recently called “”one of the most ruthless of the corporate strip-miners seemingly intent on destroying local journalism” by the Washington Post. Like more ruthless than Gannett. Looks like now might be a good time to start a new newspaper in Asheville. Who’s got a couple mil to get us started? I down loaded the price sheets from Mission, what a complete and utter joke for a layman to try to follow. All coded and vague, what a waste of everyones times.